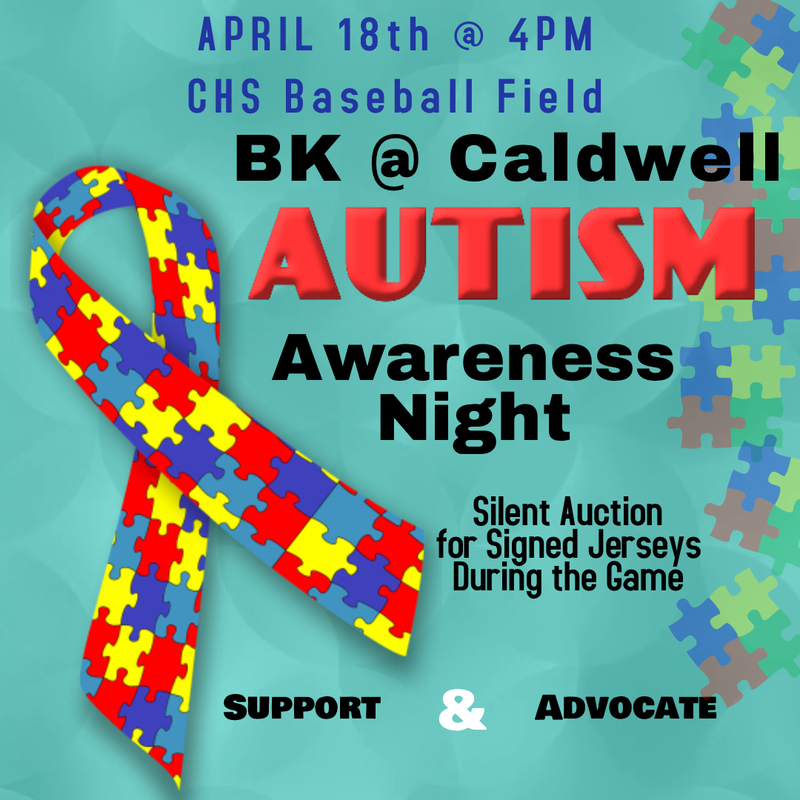 Caldwell High School and Bishop Kelly High School varsity baseball teams are teaming up to raise awareness and funds. 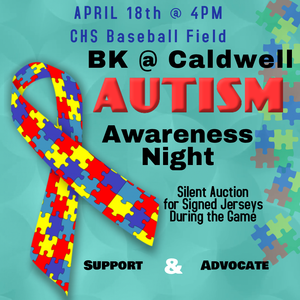 In addition to a silent auction, the teams will honor teachers and students in special education program. 4:15 to 4:30 p.m. We will then begin lining up those who are in the ceremony, and then as the players finish warming up they will go and get with their group. 4:40 p.m. Coaches for both teams will Address the crowd maximum of 5 to 10 minutes. 4:45 Players will be announced on to the field, and walk from the cart path to their position. This will include BK, Caldwell, and Students all together.